Back in 2008, Borussia Dortmund bobbed around in the dreary no mans land of the Bundesliga table and offered his faithful fans football without passion. Three years later, the BVB celebrated a great championship and an outstanding football widely admired. Responsible for this success story is Jürgen Klopp, who led the Borussia back to old strength. A man who was regarded as coach talent back in 2008, as an eloquent speaker, a motivation artist, the “TV national head coach”. Meanwhile, Klopp has proved that he is most and foremost a meticulously working, tactically versed football instructor, literally a master of his subject. Someone who initially saved Mainz 05 as a coach’s emergency solution from the second league descent, and then lead the team to the advancement into the Bundesliga. Reason enough to introduce the 51-year-old more closely. How developed a decent second league coach to a well-known championship coach, where record champion Bayern Munich regrets until today to not have put him under contract in 2008? 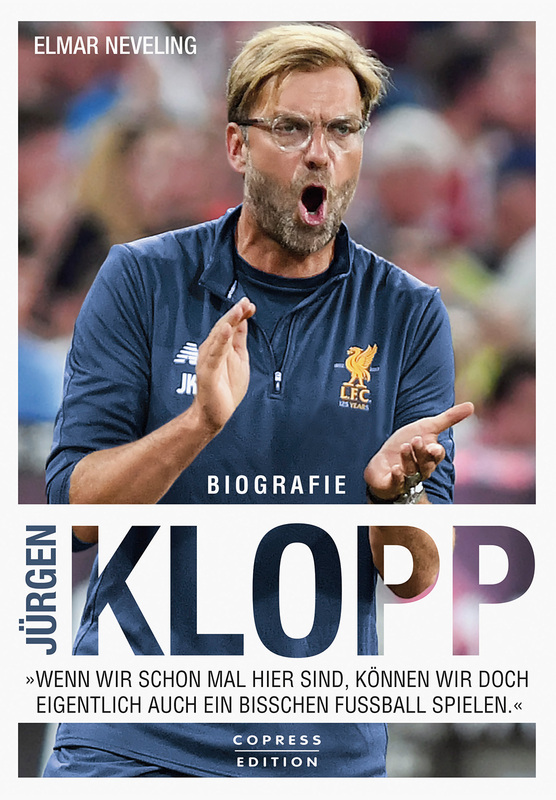 The biography traces its path of success until now: starting from his youth in Glatten in the Black Forest, over the eighteen years in Mainz, during which he developed from a junior to a respected senior coach, over the completely unexpected Bundesliga title ten years later with Borussia Dortmund – until his new challenge to lead famous Liverpool FC to its first championship since 1990. Former companions such as the youth coach Walter Baur or the manager Christian Heidel of Mainz remember mutual anecdotes and bring the ambitious sportsman and multi-layered person Jürgen Klopp closer to the reader. Interviews with experts from outside the football world offer interesting insights on his charismatic personality. Informative and entertaining – such as the detailed tactic chapter analyzing Klopp’s game philosophy in detail. “I want to become the best coach I ever could be,” Jürgen Klopp once stated in an interview as his personal goal. That he is on the right track shows the book in which Elmar Neveling, Matthias Greulich, Roger Repplinger and Saban Uzun have dealt extensively with Klopp and his real love of football.